Over 1,000 Credentialed Scientists Publicly Sign “Dissent from Darwinism” Statement. David Klinghoffer, a Discovery Institute Senior Fellow, said that the signers “have all risked their careers or reputations in signing” the statement. 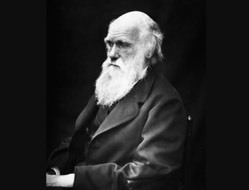 “There are 1,043 scientists on the ‘A Scientific Dissent from Darwinism’ list. It passed the 1,000 mark this month,” said Sarah Chaffee, a program officer for the Discovery Institute, according to The College Fix. The statement has specific requirements for signatures. In order to sign the document, one must obtain a “PhD in a scientific field such as biology, chemistry, mathematics, engineering, computer science, or one of the other natural sciences; or they must hold an MD and serve as a professor of medicine,” in addition to agreeing with the assertions it makes.